Let us help you or your organization! Click here to learn how we can help you become more effective! Because you want to be a better manager. Because we want to help. You already have enough to do, without the “project” of improving your managerial skills. RoadMap keeps you on track, and takes care of the details for you. So you can focus on your people, your work, and your results. RoadMap is an app that helps you master One On Ones and Feedback. You’ll start, progress, learn, and measure how you’re doing. You no longer have to keep track of everything you have to do to get better. RoadMap keeps track. You no longer have to go looking for the right bit of guidance. RoadMap gives you guidance when you need it. Now you can become an effective manager without turning it into another project you have to manage. RoadMap does it all for you. RoadMap is an iOS and Android app that contains everything you need to know to rollout the Trinity with your team. It's your solution to digitally and quickly learn what to do and measure your progress in doing it. We provide client-specific, on-site delivery of the Effective Manager training, with a RoadMap license to help your people implement what they've learned. You want to be a better manager, and we want that for you too. We teach management through free podcasts, in-person training, and video. Perhaps you’re thinking, "I’d really like to talk to someone about being a better manager." The best thing to do is to go to our Effective Manager Conference. You can ask as many questions as you like – we always finish on time. You’ll be able to practice with other managers, and if you stay in touch, you’ll have a contact when things get difficult. 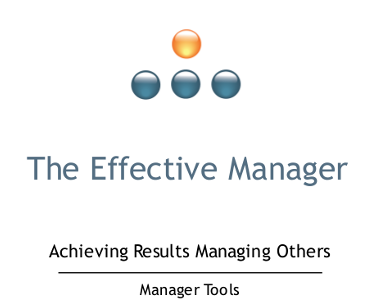 It's here - The Effective Manager . 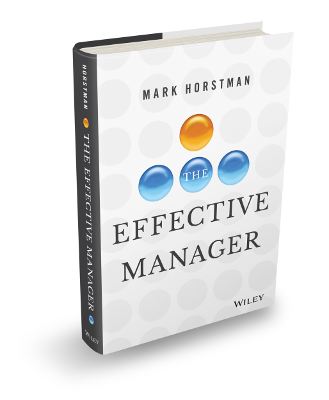 Our effective manager guidance in book form. 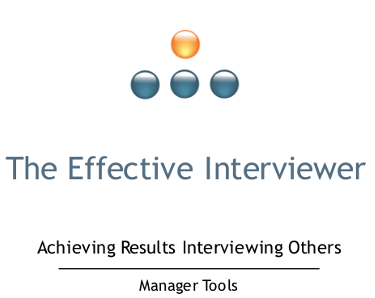 “The methods I've learned from Manager Tools have been invaluable to my career as a professional manager. Their specific, actionable guidance has helped me to effectively lead teams of both technical and non-technical professionals, and I wouldn't be where I am today without them! 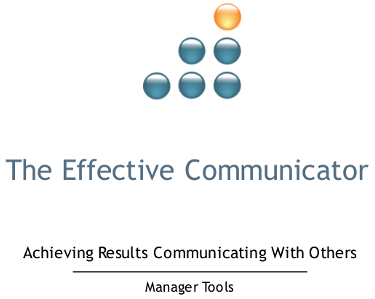 The trinity, and especially one on ones, are the simplest and most effective management tools around.” Andrew J. Sikich, PE, CPESC, Illinois Civil Manager, Ruekert & Mielke, Inc.